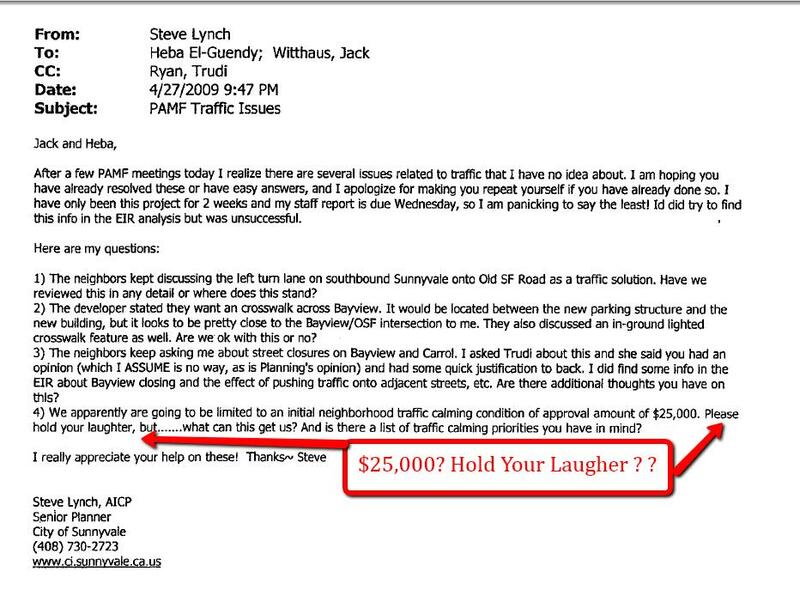 “Please hold your laughter but . . . . what can $25,000 get us?” writes Sunnyvale Principal Planner Gerri Caruso’s replacement, Steve Lynch, in an email to city transportation staff Heba El-Guendy and Jack Witthaus. So . . . while the Sunnyvale Heritage District Neighborhood was earnestly advocating for safe and calm streets, the paltry $25,000 initially required of PAMF for traffic calming devices was considered laughable? Get ready to party to agitating, pile driver, hammering noise, and lots of it! 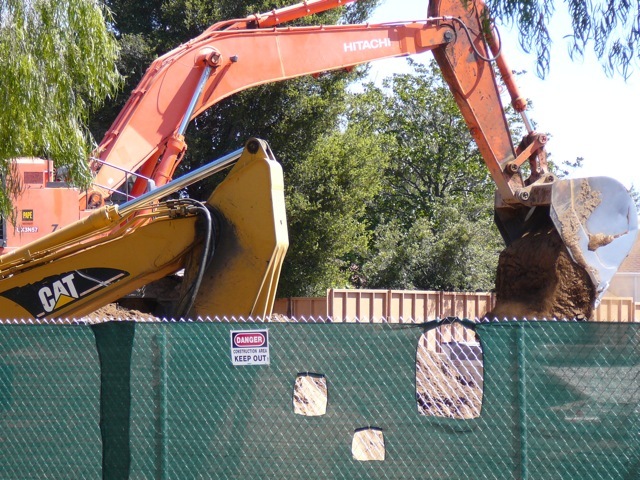 The Palo Alto Medical Foundation (PAMF) did not seem to bat an eye at imposing 28 months of loud, 6 day work-week, intense construction noise to their neighbors despite numerous comments and complaints from community members during the June 23, 2009 hearing. Before the neighbors are told, “Tough luck, there are overriding considerations as to why you must expect over 2 years of construction noise exceeding the City of Sunnyvale Noise Standards,” CEQA requires there be a thorough analysis of alternatives that could reduce this significant adverse unavoidable environmental impact to a less than significant level. And . . there wasn’t. This is so despite the numerous comments on the noise problem, noise mitigation or lack thereof. 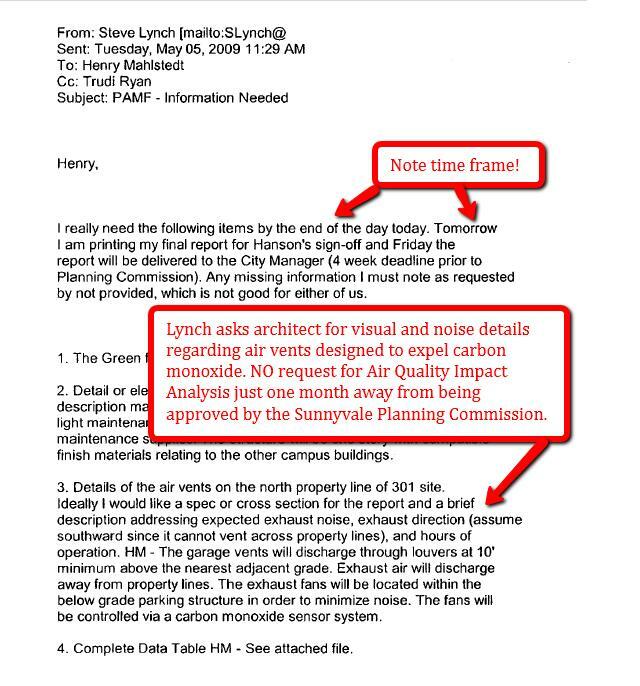 The PAMF FEIR Traffic Analysis, apparently a Morse code to Sunnyvale Planning Officer Trudi Ryan, as well, emails the Environmental Preparers David J Powers at the last-minute for HELP. Can 75% of PAMF GARAGE Vehicle Emissions Vent Through the Ramps? 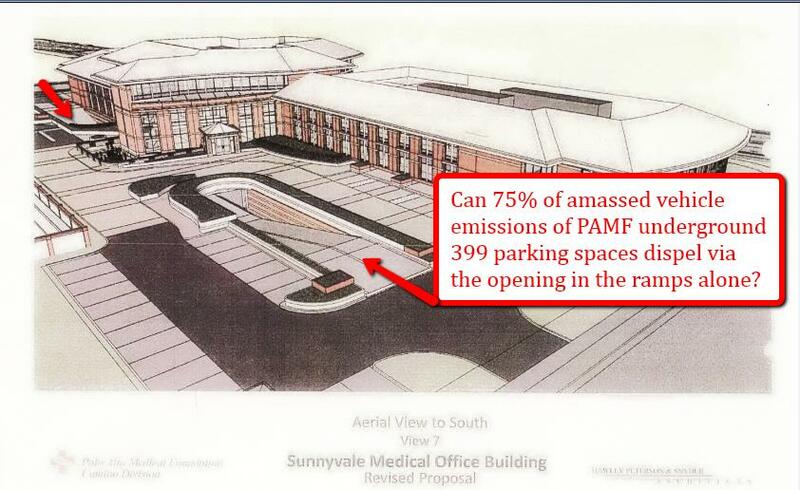 Why wasn’t the Illingworth & Rodkin, Inc Vehicle Exhaust Emissions Air Quality Report for the Palo Alto Medical Foundation PAMF Sunnyvale Underground Parking Structure, designed by Hawley Peterson Synder Architects, provided in the PAMF DEIR/FEIR for disclosure and review? LATE for the party and PRESENTED for the first time ON THE EVE of the COUNCIL VOTE, the Air Quality report estimates 75% of the expelled carbon monoxide emissions to vent independently through these narrow ramps leading to the underground parking structure for PAMF to be located at 301 Old San Francisco Road. Is the $120M PAMF BUILDING a FIT in the Neighborhood? 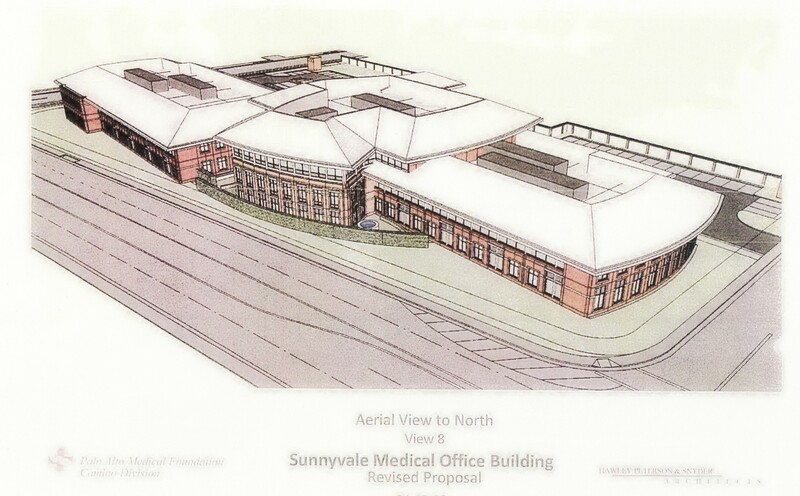 Palo Alto Medical Foundation, a subsidiary of Sutter Health, proposed PAMF $120M, 270,000 square foot, 5-level structure, designed by Hawley Peterson Synder Architects , is ambitious, to say the least. Is it a “FIT” with the quiet Heritage Neighborhood District?